The Lion is one of the most common designs in heraldry. It symbolizes dauntless Courage and Valor. So even if it isn_ t part of your coat of arms, what a great way to remind yourself or a friend to show courage in the face of adversity. 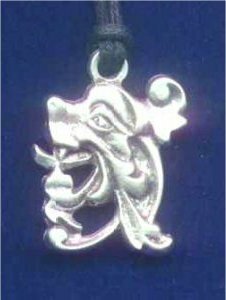 The pendant measures 1.25" x 1" and is cast in lead free pewter. It comes on a 36" 2.5mm black cord.